No conjecturing here, someone has actually measured its financial impact. In a study published in the Journal of Occupational Environmental Medicine over 4,000 employees were surveyed about sleep patterns and paired up with productivity changes. The subjects were classified into four groups: insomnia, insufficient sleep syndrome (the most common sleep disorder nationwide), at risk, and normal sleep. Not surprisingly, the insomnia and insufficient sleep groups had significantly worse productivity performance. A compelling finding of this study was the measured losses in dollars and they were estimated to be about $2000 per employee ($1967.00 to be exact) per year. This finding has not gone unnoticed by large employers nationwide, and there is an active effort to address this issue and take measures to deal with it. It’s important to recognize that it’s not always the employer at fault; employees are also making decisions that impact their sleep habits. What is mostly responsible for workplace drowsiness? It’s largely a cultural phenomenon. Many of us enjoy too many late nights due to extra-curricular activities after work, while sometimes we work too late hours on too many days. Sometimes it’s simply the burden of work combined with raising a family. However, embedded in western culture is the need to fit as much as we can in our lives, in addition to our professional workload commitments. The effects can range from missed work days, to unprovoked irritability, to long-term consequences including chronic health issues like memory loss, high blood pressure, obesity and depression. How much responsibility lies with the employer and how much rests on the individual? Employers are required to do only what is legally defined as “reasonable accommodation to achieve safety in the workplace.” Ultimately, it is the value of the employee that will motivate the employer to go beyond that baseline level of responsibility and accommodation. Valued employees may be allowed to keep more regular hours, while most employees may be expected to stay late, repeatedly, to finish work assignments. What this means for the individual is that an effort must be made to realize the consequences of (sleep) behavior and measures must be taken to correct sleep deprivation. It’s only recently that the health and productivity consequences of sleep deficit have been recognized and identified. You can read more about the consequences of sleep deprivation in certain professions. Try not to sit all day long. Standing up periodically helps to mobilize blood flow and increases blood circulation to the brain. Make sure there is ample bright light shining on your workstation or desk. As I’ve mentioned in past shareposts, light is the most potent inhibitor of melatonin secretion, the hormone that regulates sleep. It is a good idea to take short naps during the day. Early afternoon is an optimal time, when there is a normal dip in the circadian rhythm. Some companies like Google and HubsSpot have realized the value of daytime naps and have installed “nap spaces” in their offices. A short nap during a busy day improves alertness and productivity. Take your meal and snack breaks in different areas of the office. It has been shown that having lunch and other breaks away from your work desk improves productivity. Obviously, taking a quick walk break can also help to energize you. Take measures to reduce stress in the workplace. Try some quick exercises and use relaxation techniques like closing your eyes and deep breathing to help lower the frequency of the brain waves. 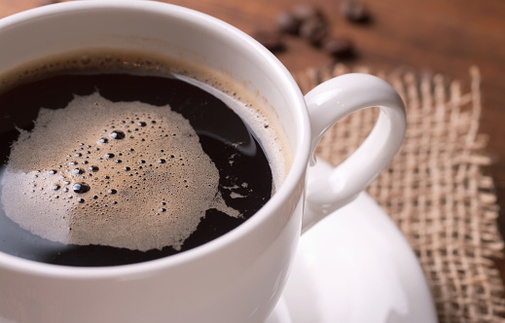 Can coffee or regular tea with caffeine help limit workplace drowsiness? ** The facts:** Coffee has four times more caffeine per cup compared to tea. Tea does contain theophylline which can help to dilate airways and improve breathing. Being awake and breathing more deeply will allow oxygen to flow to your brain more effectively. Caffeine is also water soluble, so its effects last less time than those that tea provides. I have mentioned coffee in previous articles on driving drowsy as a temporary fix, if you can wait for it to kick in. Coffee is not a permanent fix for sleep deficit or chronic drowsiness. Ultimately, it’s important for you to consider your health and manage your sleep needs because your health, and secondly your productivity at work, are both important considerations. Without question, your health comes first. Did You Gain a New Baby and Sleep Onset Association Disorder?